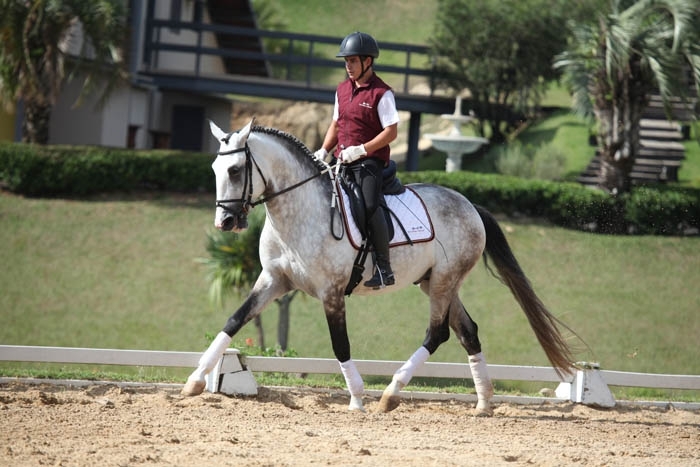 Dream do Vouga has three “dreamy” gaits, which will draw attention. 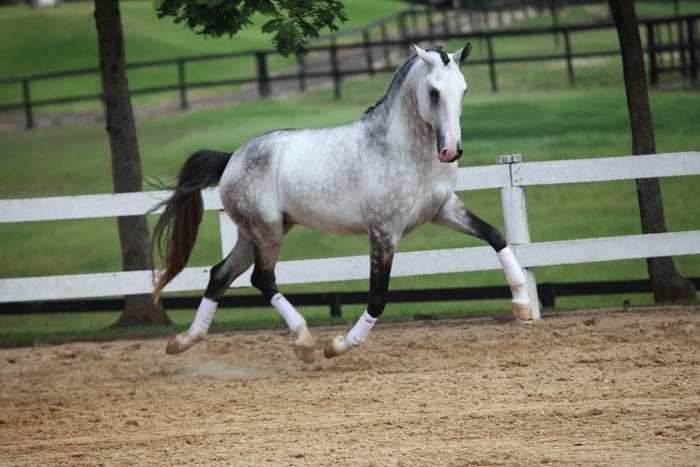 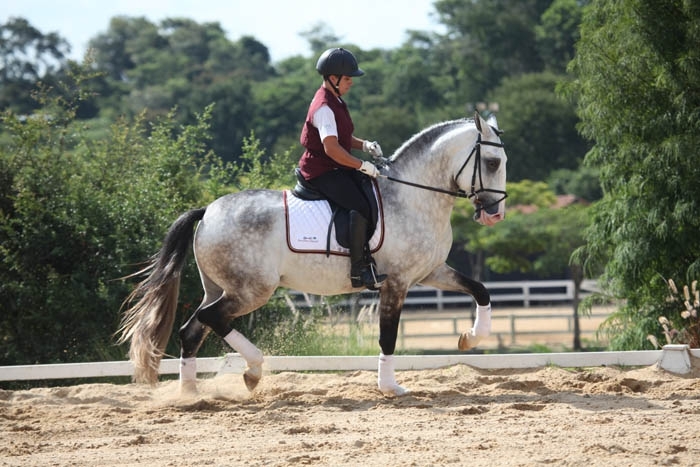 You will notice his exceptional gaits out in the field and also when he is ridden. 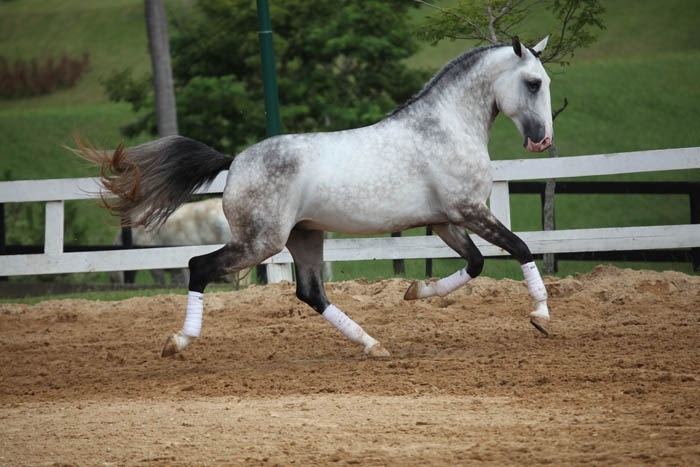 He is a beautiful grey horse, with nice size- 16.1 hands high – and an alert and gentle character. 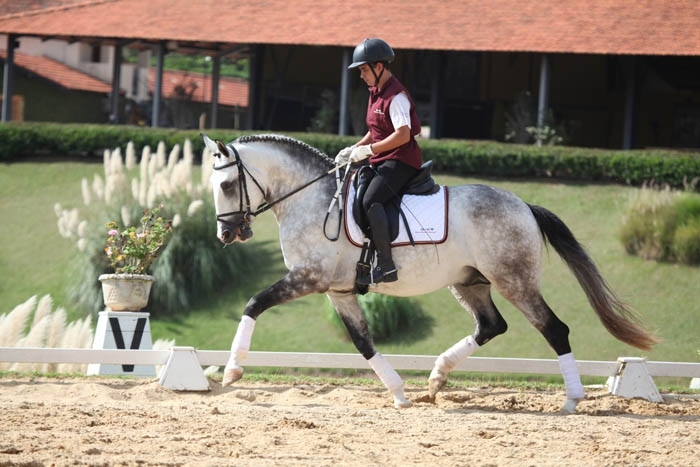 As his name suggests, he is going to be a “dream” for his new owner. 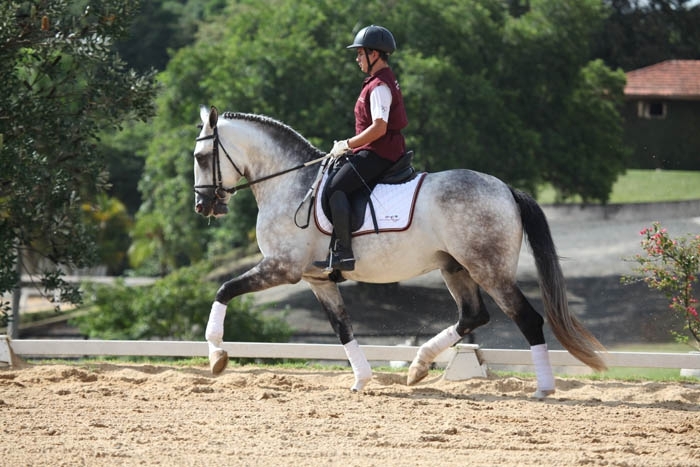 He is working very nicely under saddle and will continue to be special as he advances in his training. 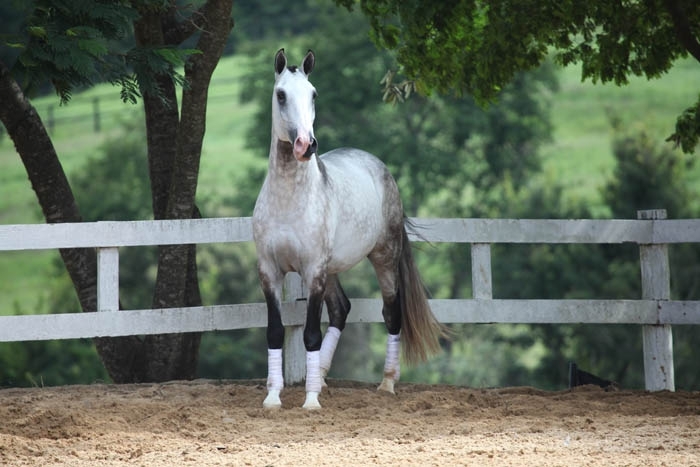 Dream is recommended for riders who love the nobility and dedication of this breed. 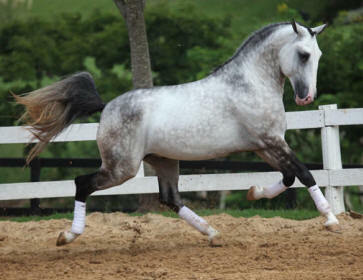 Toleirão da Broa, Dream do Vouga’s sire is a Veiga stallion with his place guaranteed in the first team of stallions from the Coudelaria Rocas do Vouga. 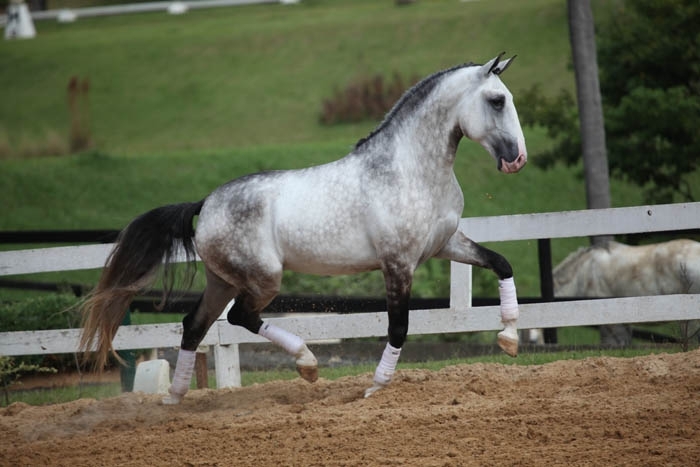 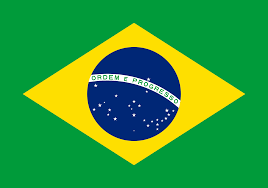 Many international specialists consider him the best “Grand Prix” horse in Brazil, and with his excellent conformation and good movements he awarded with the title Champion of Champions from the 2008 International Exhibition. 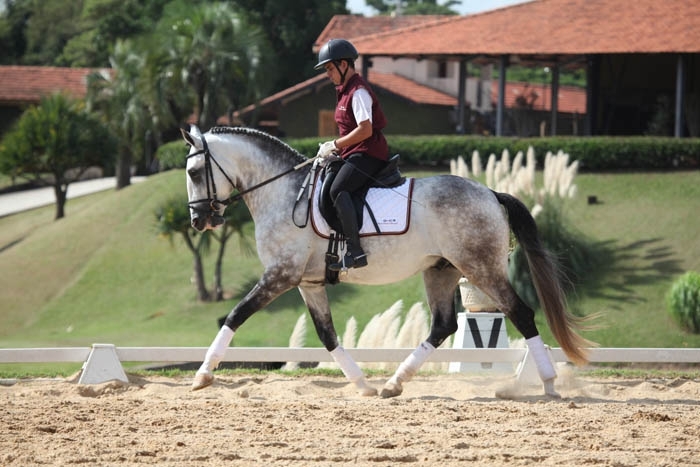 Zazá do Vouga, Dream’s mother, is a beautiful palomino mare, a champion at exhibitions, and daughter of the multiple-champion Notória do Mirante. 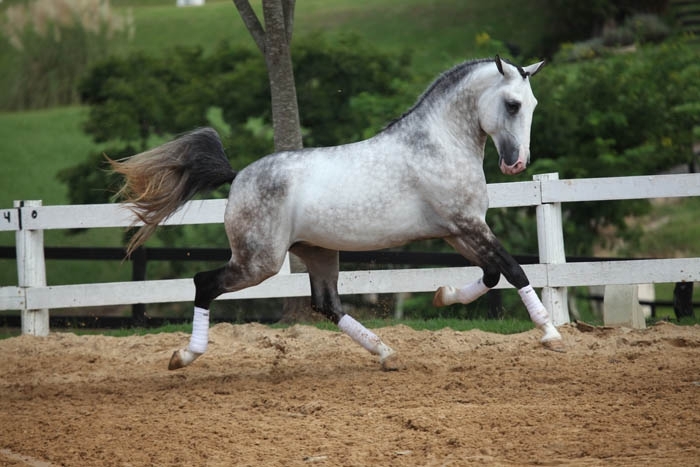 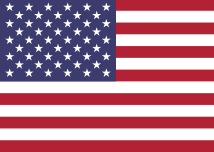 This pedigree explains the class and the movements of Dream do Vouga.